16 Herbal Tea Bags to Soothe & Protect Personality: Stimulating and supportive. - Herbal Power: Gets the immune system fired up and protects your throat. 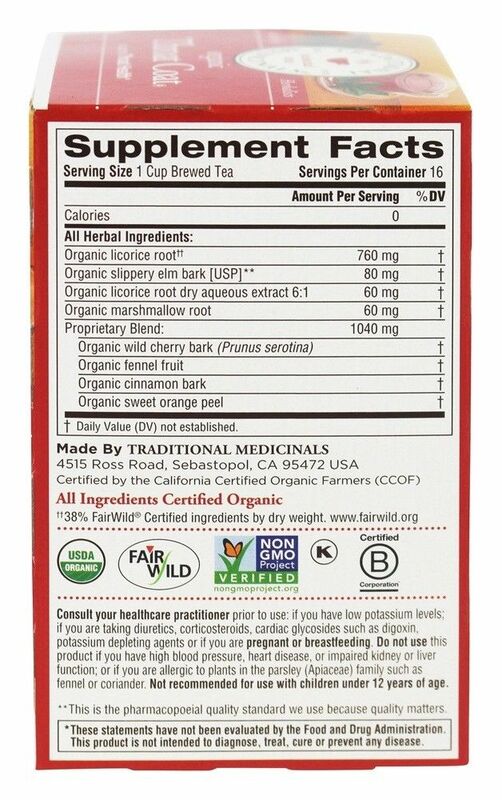 - Reason to Love: Ingredients include organic licorice root, organic slippery elm bark, organic marshmallow root and a proprietary blend of -- organic wild cherry bark, organic cinnamon bark, and organic sweet orange peel. - Taste: Mildly earthy taste, with a hint of spice. 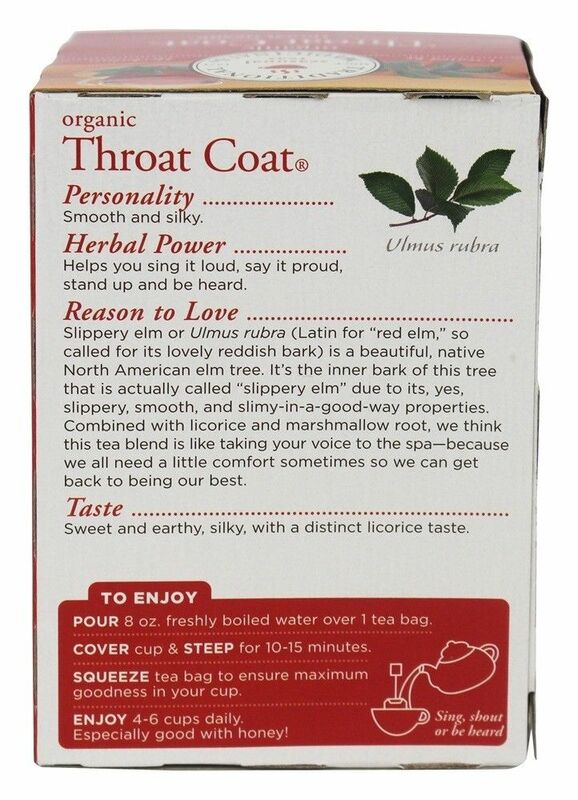 You may notice the organic licorice root characteristic tongue-tingling effect, a sign of very high quality. 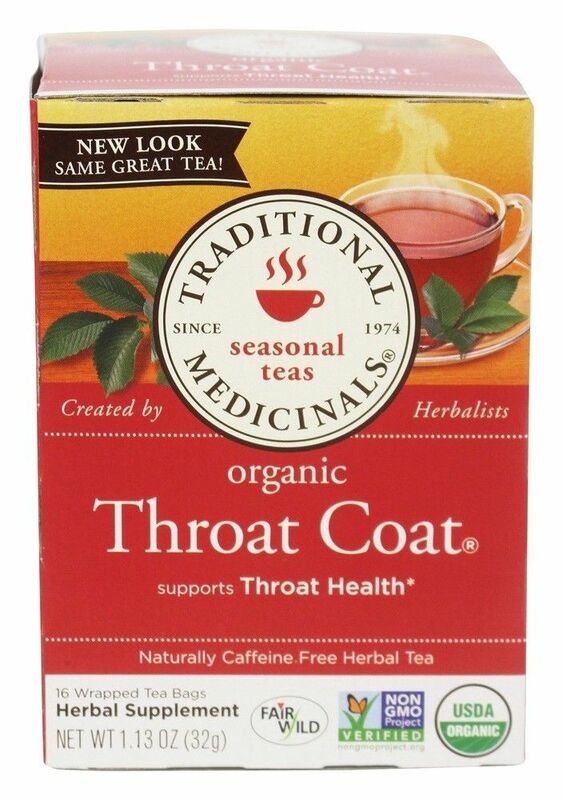 Supports Throat Health* - Non-GMO verified - All Ingredients Certified USDA Organic and Kosher - The highest quality, pharmacopoeial grade herbs - Stimulating and supportive - Helps you sing it out loud, say it proud, stand up and be heard* - Taste - Mildly minty with a twist of citrus * These statements have not been evaluated by the Food and Drug Administration. This product is not intended to diagnose, treat, cure or prevent any disease.